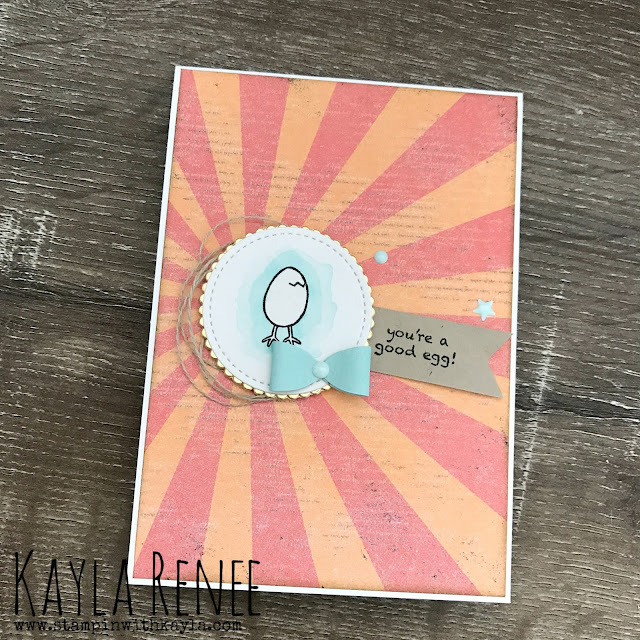 Crazy Crafters Blog Hop featuring Rachel Tessman ~ You're a Good Egg! Welcome to another Crazy Crafters Blog Hop this time featuring the lovely Rachel Tessman. 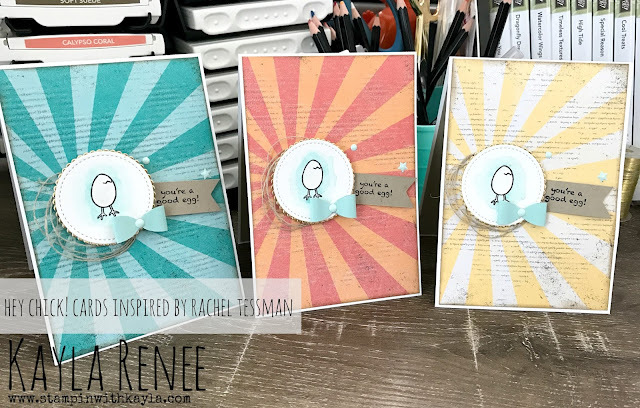 The idea of these blog hops is that you choose a card of Rachel's (the featured artist) to CASE (Copy & Selectively Edit) and showcase on your blog. Let me tell you, it was so hard to pick a favourite. I had many. I have pretty much kept my design the same except went with the circle Stitched Framelits to frame my egg with an extra scalloped circle in gold foil to make it stand out. I also added a bit of bling and some enamel shapes for some extra oomph. Here's a look at the cards as I placed them on the table. I am still setting up a proper place to photograph my cards. It's all a learning process! 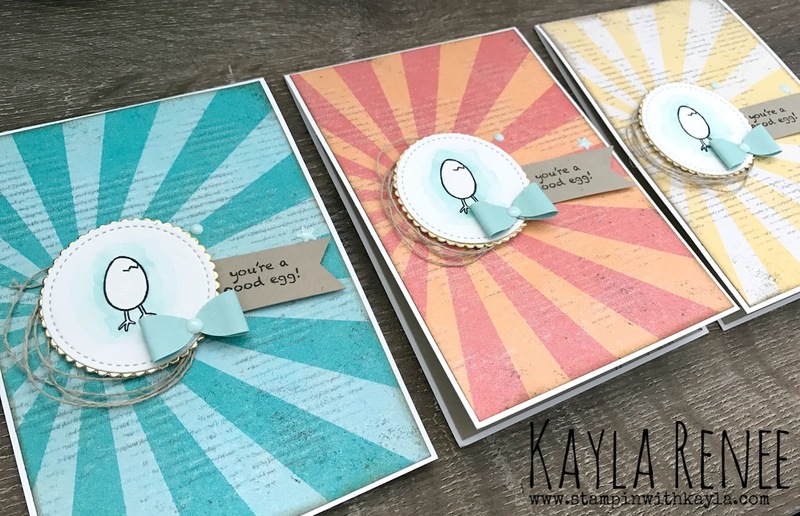 And here's a close up of some of the details on the cards. 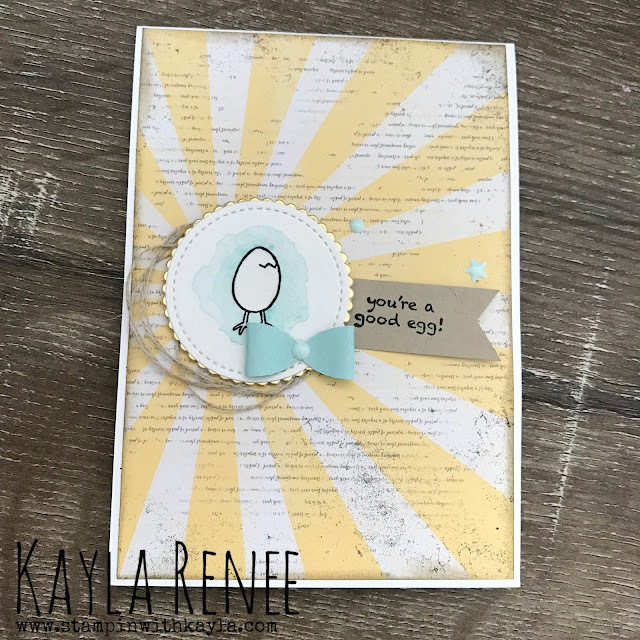 I love the texture that the twine gives and the dimension from the enamel shapes and the dimensionals behind the watercolored egg. Here's a close up of card one with the oranges warm tones. 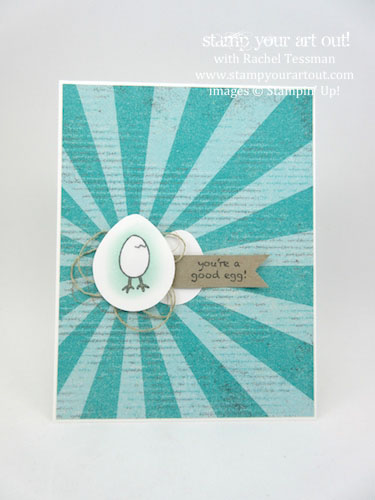 A close up of the gorgeous Bermuda Bay card. 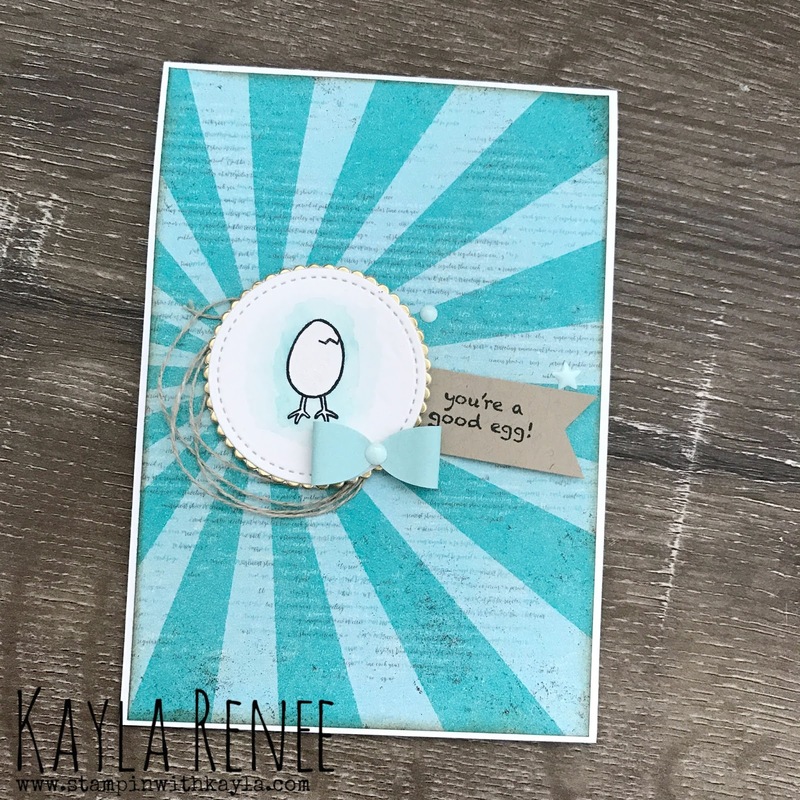 My personal favourite and also the colours that Rachel used on her card. and this one which really suits the chicken theme I think with the gorgeous I think 'So Saffron'. 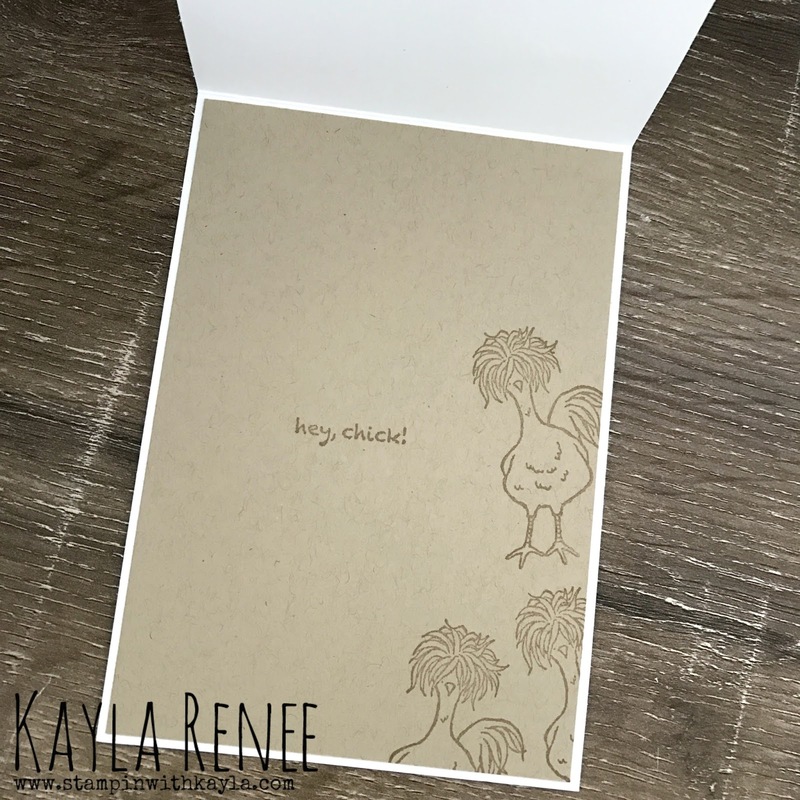 Lastly, here is a look at the inside of the card which I have stamped with that funky chicken from the stamp set with another sentiment. 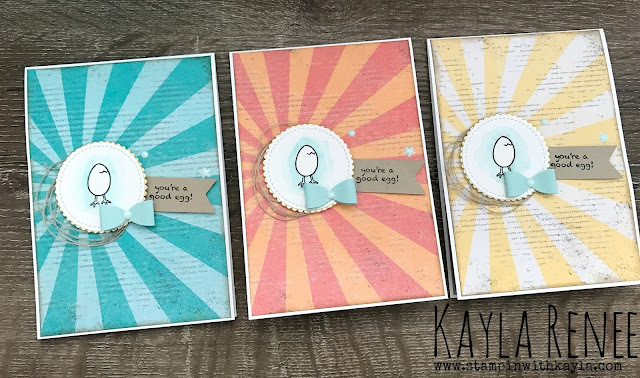 I love these blog hops because it really gets me MAKING cards and thinking and using that stash that would otherwise be sitting there. Thanks for letting us hop with you Rachel.